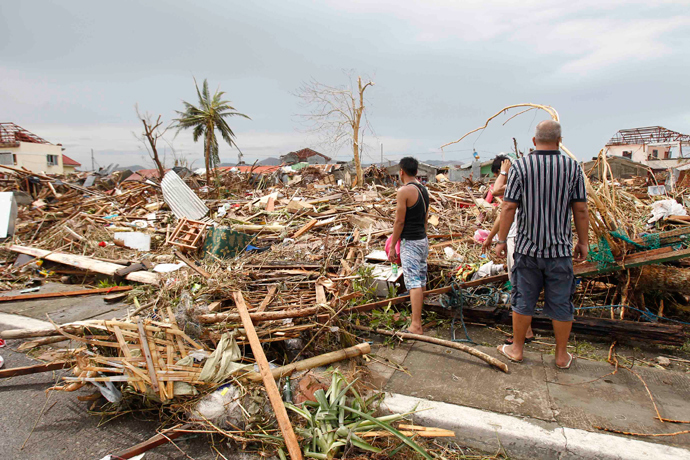 Mila Ward, a Philippine-born Australian on vacation in Leyte spoke of the human misery that was abundant in the streets everywhere one looked. "They were covered with blankets, plastic,” she spoke of the hundreds of bodies strewn around the streets. “There were children and women," Ward added. "It was like a tsunami. We escaped through the windows and I held on to a pole for about an hour as rain, seawater and wind swept through the airport…some of my staff survived by clinging to trees. 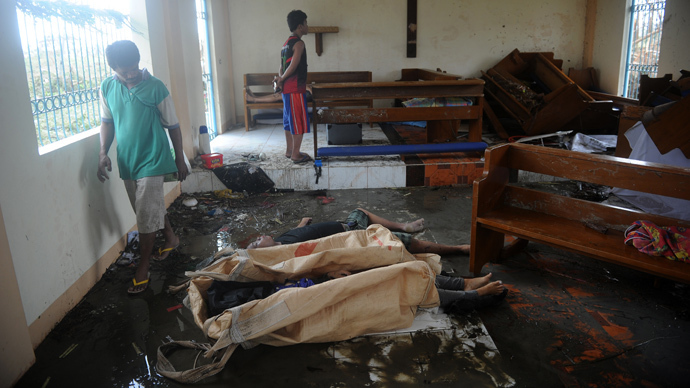 I prayed hard all throughout until the water subsided," said the reporter, 47-year-old Efren Nagrama, who discovered five bodies while in the chapel there. 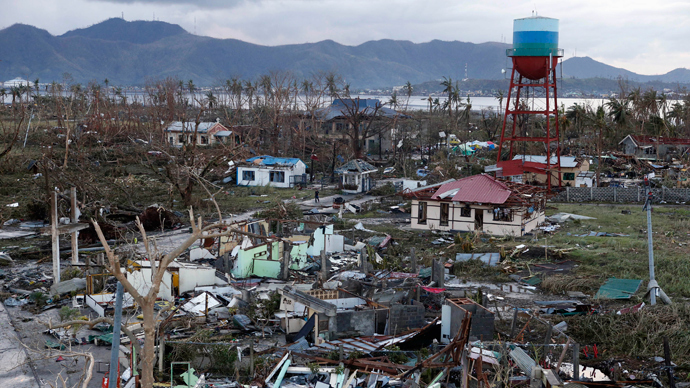 "The dead are on the streets, they are in their houses, they are under the debris, they are everywhere," said Lim, adding that only about 400 bodies have been recovered so far. "The rescue operation is ongoing. 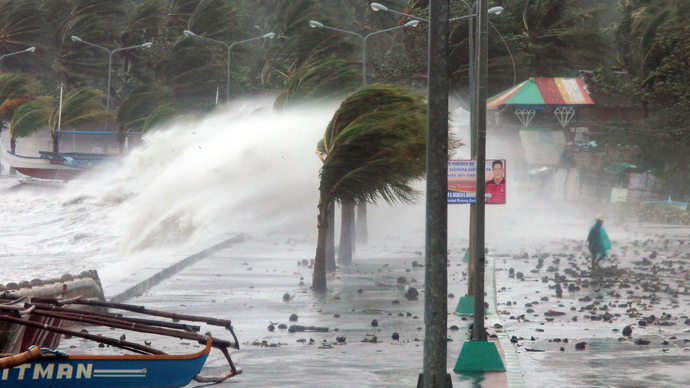 We expect a very high number of fatalities as well as injured," Roxas told AP. "All systems, all vestiges of modern living — communications, power, water — all are down. Media is down, so there is no way to communicate with the people in a mass sort of way." “UNICEF's first priorities are focused on life-saving interventions – getting essential medicines, nutrition supplies, safe water and hygiene supplies to children and families,” said UNICEF's representative in the Philippines, Tomoo Hozumi.